As is customary for this time of year, I’d like to share the top ten books that I read. I’ve done this for 2011 and 2013 and have provided lists for my top five books on the plurality of pastors, top five books on the kingdom of God, top ten books on Charismatic Theology, and some recommendations for developing, fostering, and maintaining a leadership team. What follows is a list of my favorite books that I read in 2014! Yes, some of these books were published before 2014 but since I read them this year, and loved them, I’m including them. Hey… it’s my list. Get your own if you don’t like the way I do it! Ha ha! 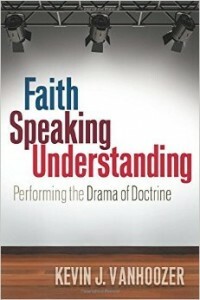 Faith Speaking Understanding: Performing the Drama of Doctrine by Kevin J. Vanhoozer. 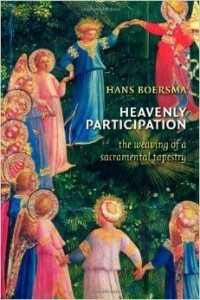 According to Vanhoozer, the church is the theater where the gospel is “performed” and doctrine directs the performance. This is a follow up to The Drama of Doctrine, and powerfully traces the intersect between theology and praxis, or doctrine and doing. Faith Speaking Understanding casts a powerful ecclesial vision that is connected to discipleship, sanctification, and mission. Any systematician who spends this much time constructively delving into practical theology like this needs to be listened too. This will likely find its way into my hands many times in the future. 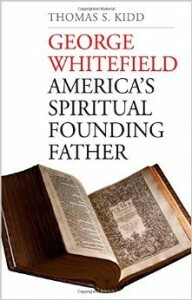 George Whitefield: America’s Spiritual Founding Father by Thomas S. Kidd. I’ll be reviewing this for the Society of Vineyard Scholars soon, so I’ll keep this short and sweet. First, I’ve read many biographies on Whitefield and many of his sermons because he is my favorite Great Awakening revivalist. This is by far the best biography that exists on Whitefield. The author, Kidd, blends perfectly history and interpretation in an extremely engaging way. I literally couldn’t put this book down. Get it. Get it now. 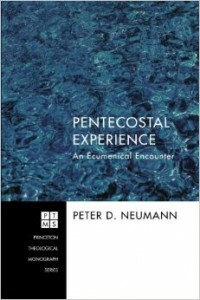 Pentecostal Experience: An Ecumenical Encounter by Peter D. Neumann. For years I was told by some conservative Evangelicals that experience was, at worst, the evil enemy of orthodoxy and, at best, the red-headed stepchild of true Evangelicalism. Since I’m convinced that this is theological hogwash, historically unsustainable in the life of the Church, and completely ridiculous, Neumann’s book was a really interesting read. All who align with (p)entecostal ideals will find the spirituality examined fascinating and, more than likely, familiar. Neumann demonstrates, via Frank Macchia, Simon Chan, and Amos Yong, that the (p)entecostal experience of God is mediated by the Holy Spirit’s work through Scripture, tradition, and culture/society. Readers should also check out Kenneth J. Archer‘s A Pentecostal Hermeneutic: Spirit, Scripture And Community. 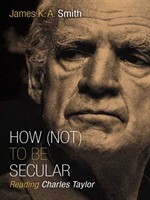 How (Not) to Be Secular: Reading Charles Taylor by James K. A. Smith. Another recommendation from Caleb Maskell (now you know why I refer to him as “prodigious”). In edition to explaining Charles Taylor (he’s a difficult dude to grasp), Smith helps interpret Taylor and show how his ideas apply for the Church living in today’s postmodern world. This book provides ideas on how followers of Jesus can live in a secular world while not being of a secular world, so to speak (to be as Johannine as possible, ha!). This would be a great follow up to reading Who’s Afraid of Postmodernism? : Taking Derrida, Lyotard, and Foucault to Church. The Creedal Imperative by Carl R. Trueman and/or Canon Revisited: Establishing the Origins and Authority of the New Testament Books by Michael J. Kruger. Trueman, with his hilariously pointed observations, makes it painfully clear that confessionalism is neither “evil,” “foolish,” or something that churches can avoid. All churches have doctrines, and the much-too-common suggestion that some churches don’t is, obviously, ridiculous. 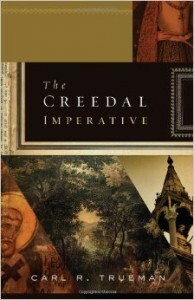 Additionally, The Creedal Imperative provides a way forward for churches to incorporate creeds or statements of faith. It’s a fascinating read. 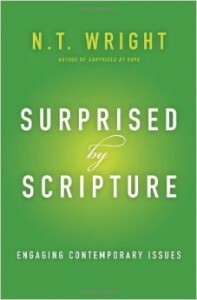 Kruger’s book is a good summary of how the New Testament came to be and why it has authority for Christians. Both of these books were equally interesting, though both aren’t full of surprises for anyone fluent in these disciplines. 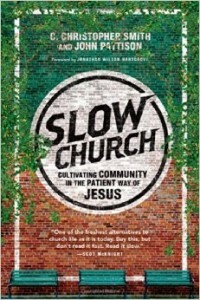 Slow Church: Cultivating Community in the Patient Way of Jesus by C. Christopher Smith & John Pattison and/or The New Parish: How Neighborhood Churches Are Transforming Mission, Discipleship and Community by Paul Sparks, Tim Soerens, & Dwight J. Friesen. For anyone interested in missional theology, discipleship, contextualization, or ecclesiology, you must pick up a copy of these two books. In the future I plan on writing on how I am applying them within a small town context, but you should know that I simply loved the implications of both. The Missional Journey: Multiplying Disciples and Churches that Transform the World by Robert E. Logan. Some of you know that I’ve had the pleasure of hanging with Dr. Logan a few times (and I even got featured on his blog, here and here). The dude is a missional genius and has more practical wisdom in his pinky than most people have in all the books they own. At any rate, The Missional Journey reminded me of the importance of making disciples who make disciples (multiplication) and provided a great resource for missional communities. Pentecostal Ecclesiology: An Essay on the Development of Doctrine by Simon Chan and/or Toward a Pentecostal Theology of the Lord’s Supper: Foretasting the Kingdom by Chris E. W. Green. Yeah… I mention Simon Chan a lot. He’s a big deal in my world. He is the type of theologian that I could read for hours (and I often have!). His proposed ideas toward ecclesiology are fresh, exciting, and timely. What do you expect when you get Barth, Trinitarianism, pneumatology, and spirituality all covered by one of my favorite theologians? I expect nothing less… which is why it is on my list. The other book, Toward a Pentecostal Theology of the Lord’s Supper, came to my from my wife’s uncle from Frank Macchia. Thanks, Drs. Israel and Macchia! Green’s work on the Eucharist as a Pentecostal is well worth the time of anyone interested in how pneumatology relates to Communion, a subject I’m extremely interested in. My biggest accomplishment last year was finishing Joel Green’s Practicing Theological Interpretation along with Christian Smith’s The Bible Made Impossible. Their influence can be seen heavily in the paper I presented at the Vineyard Scholars Conference and was later expanded to become the series 10 Things We Must Do Differently To Receive Scripture as God’s Authoritative Revelation for Humanity (Intro/Part 1 here: http://thinktheology.org/2014/09/23/10-things-must-differently-read-scripture-gods-authoritative-revelation-humanity/ ). In 2015 my hope is to finish Scot Mcknight’s Blue Parkeet along with N.T. Wright’s Scripture & the Authority of God and Spirit & Scripture: Exploring a Pneumatic Hermeneutic from the good folks at Regent University. This will continue my work in Hermeneutics hopefully culminating in a paper tentatively entitled Toward a Hermeneutic for the Transformation of the Human Person. After all, if all our Bible reading and study don’t result in a life radically transformed by an encounter with God, the likes of which we read about in scripture (e.g. Peter, Paul…) then what the heck are we doing here?!? After that I hope to shift my effort toward Practical Ecclesiology and how to, no kidding make & send (deploy) disciples (radical followers) of Jesus. I would love to read Slow Church as part of that process. The New Parish sounds fascinating too. I think I blogged about something along those lines here: http://thinktheology.org/2014/07/29/neighborhood-based-house-churches-corporate-organization-supports/ with a link to a Tim Soerens blog post on the subject. And for the record, I’m guessing that the reason you read way more books than me in 2014 has something to do with the fact that you’re back in grad school again #JustSayin #NotAFairComparison. Dude… Spirit and Scripture is great! I should have included it in my 2014 list as an honorable mention (among many others). I loved it.